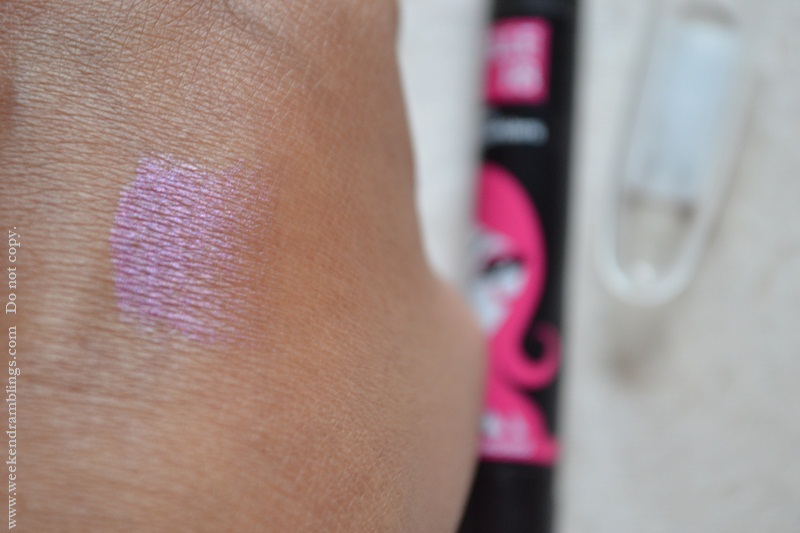 I got to try out the purple-coloured eye pencil. 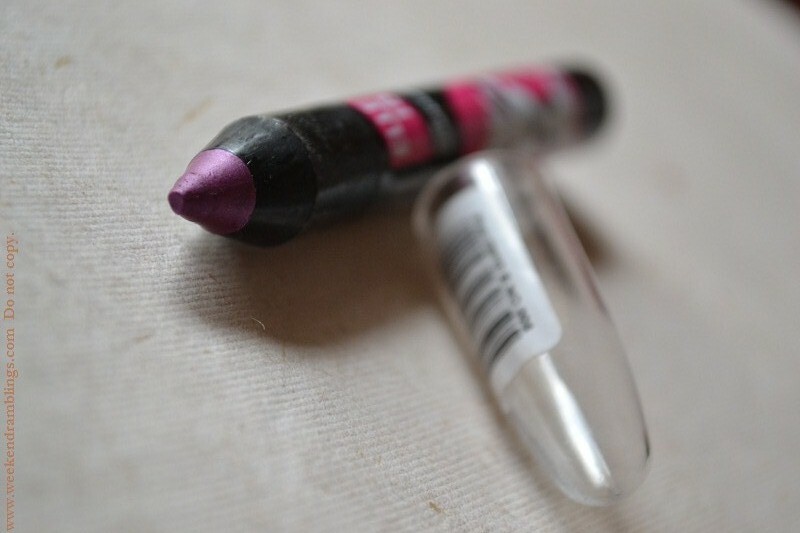 It's a nice creamy purple which is great as an all-over lid colour - me prefer using it that way than as an eyeliner. Will post an EOTD soon - am really busy with some work, and it's really cloudy. For now, though, have you tried the Elle 18 Eye Sparklers? Which is your favorite, and how do you use it? Deb - Oh I think those colours would look great too..
Aarthi - am a bit busy so couldn't post anything..but will definitely post the next time I try it out. Lets hope so,when I tried opening your blod yesterday it said the blog doesnt exist and I was like woooot ! i blew a lot of money :| this vacation is very bad for me !!! not really a good product. does not stay for long on your lids. :( but the shade is nice. It looks nice, doesn't it? I liked the green shade too..from what I saw of some swatches online. Too bad if it doesn't stay on very long :(( I was thinking of using this with an eyeshadow to set it - you think that would work?